DUPLO® is a trademark of the LEGO Group of companies which does not sponsor, authorize or endorse this site. Kids of all ages love to build and create. This exhibit is specifically designed for our younger visitors (toddler to K) to let imaginations free to create using DUPLO® blocks. For our older visitors (adults included) this exhibit challenges you to create and develop ideas using blocks and LEGO® bricks. Also use your skills to build a car to race on the LeTourneau University Racetrack. Do you dream of developing the next great invention? This is the place for you! Collaborate with friends or work solo to take a concept and make it reality through trial and error. With a thrilling collection of components at your disposal plus your imagination, create and explore the unlimited possibilities. Come let your inner performer shine on our stage! The Park is a place to discover the parallel between role-playing and real life applications through music, drama, art and self-expression. Gather your friends to produce your own play or puppet show, compose your own symphony or a signature song or spend quiet time creating great artwork or reading a book. The only limitation for fun in The Park is what your imagination can create. At LongviewWOW you can enjoy a multi-purpose rental space where you can enjoy birthday parties, meetings and family gatherings. The Factory will give the community a space to learn, celebrate and inspire people of all ages. LongviewWOW will utilize this area for special programs and hands-on learning presentations. For information on party packages or renting this space, click here. Explore how food is grown, goes from the farm to the store and ends up on your table. 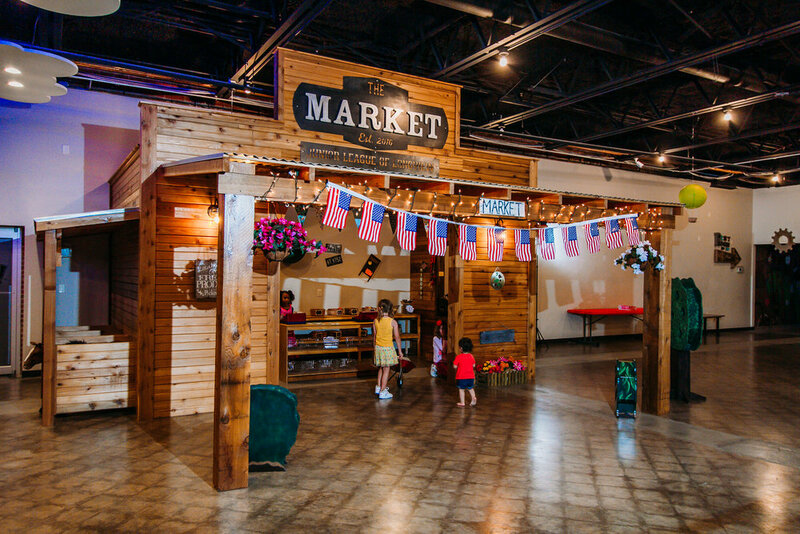 This fun, colorful, hands-on exhibit allows children to experience life at the farm as they take care of the animals, collect the eggs, fruits and vegetables, then take them to the local farmer’s market. Ultimately, through pretend shopping in the store they role-play buying and selling the products from the farm. This also gives children experience working in a market by checking out customers and keeping the shelves stocked. East Texas is known for its natural energy resources. Energy City highlights our coal, natural gas, oil and other energy industries. Complete with a pump jack, coal mine and excavators, power station, wind turbine and Komatsu excavation simulator. This exhibit encourages role-play and is fully accessible to all. It gives children the opportunity to see the inner workings of a house by allowing them to see the kitchen and home from a different perspective. This gives them a chance to use their understanding of the proper way to set a table, prepare a meal, and organize the kitchen items. Children can also slide out the kitchen window! Through its connection to Energy City, children will learn how our natural resources help provide things they use on a daily basis.